Made with organic bamboo and cotton, right here in Canada, Wee Dreams™ Sleep Bags feel like a very cozy sweatshirt. 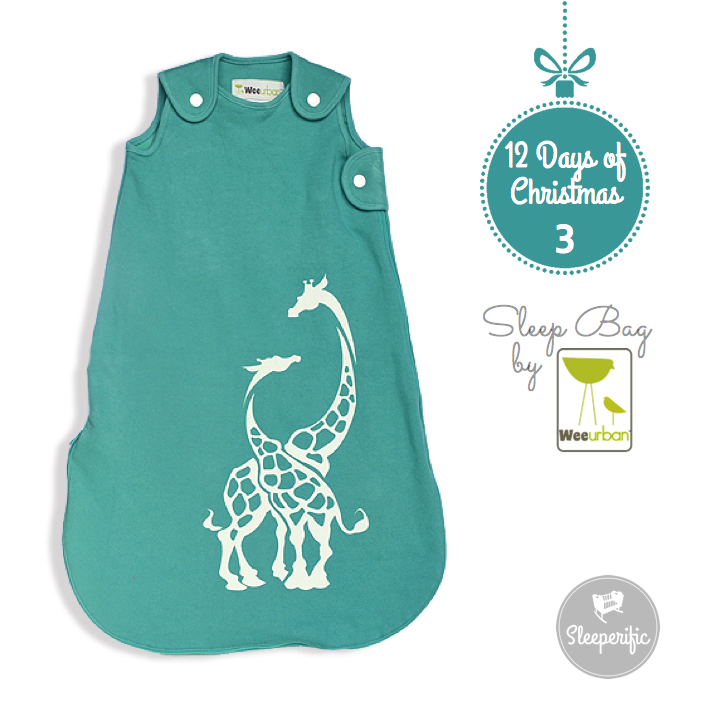 We love sleep sacks because they’re a safe way to keep babe covered, especially in winter months. We’ve also found them to be breathable enough to wear in warmer seasons. Super cute prints, beautiful colours and generous sizing options make these sleep sacks a must have for every nursery! Enter below from now until December 12. Winners will be announced here on December 14th, 2015. Contest available only to residents of Canada. Missed our previous Days of Christmas? Visit Day 1, and Day 2 to enter while you can! I love the turquoise color! Cozy and comfy for sure! It’s a really lovely colour and I think gender neutral too! Love this colour. Great for a boy or a girl! Beautiful. I love the teal. I love the turquoise! Beautiful! I think this is one of my favourite colours – so bright and cheery! Curious how you dress your baby in these with a nursery temp between 21 and 19 degrees.